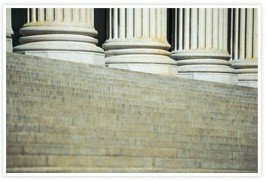 Phoenix Probate Litigation Attorneys | Platt & Westby, P.C. Generally speaking, Probate Litigation refers to lawsuits handled by the Probate Court. In Arizona, the Probate Court handles matters dealing with estates of deceased or incapacitated people. Lawsuits in this arena arise when there is a conflict regarding what property belongs to a decedent, how that property should be distributed, and whether or not someone needs a guardian or conservator. Often, the need arises for a Court to appoint someone to care for a vulnerable person or “ward”. This need is usually due to the ward’s inability to care for himself or herself because of incapacity, infancy, or disability. The person chosen to help care for a ward is appointed guardian. If the ward has assets that need to be taken care of, the Probate Court will also appoint a conservator to manage the ward’s money or property. These proceedings can result in litigation when someone objects to the appointment of a guardian or conservator. Usually, the objection will come from another party who wishes to be appointed for the ward. The County and State have an interest in protecting vulnerable citizens so investigators and attorneys are appointed to safeguard the process and object to the appointment of a guardian or conservator when necessary. When someone passes away, whether they have a Will or not, there is a potential for probate litigation. The validity of the Will, the existence of other Wills, transfers of property prior to the decedent’s death, and the whereabouts or existence of estate property are all fertile grounds for a probate lawsuit. There are specific rules regarding the execution of a Will which must be followed. If there is more than one Will, the most recent, validly executed Will controls. Sometimes a Will can be invalidated because of undue influence exerted by an interested party. The actions of a testator can sometimes, unintentionally invalidate a Will. Literally hundreds of years of litigation history have created a breeding ground for probate litigation concerning Wills. Usually, an estate plan involving a Trust will avoid the Probate Court but, when a Trust has been administered by the Trustee improperly, the door to probate litigation is opened. A Trustee of a Trust has enumerated and strict duties to the beneficiaries of the Trust. When they violate those duties, a beneficiary may appeal to the probate court for redress. Generally, these suits start with a demand for information and/or accounting. However, depending on what turns up after such a demand, the beneficiary may have cause to ask the Court to remove a Trustee, divulge assets from a third party or Trustee, or even penalize the Trustee with sanctions or a forfeiture of his or her interest in the Trust. The best way to avoid Probate Litigation is with a comprehensive Estate Plan. The Arizona estate planning attorneys at Platt & Westby charge reasonable fixed fees to draft trust and related documents. Should you currently be facing probate litigation, the Arizona Probate Litigation attorneys at Platt & Westby handle any type of Probate Litigation problem at reasonable hourly rates. Call us at 602-277-4441 or use the form on this page schedule a free consultation with an experienced Phoenix probate litigation attorney. If you have a probate question, contact us. We can help.